C64: The lair of the Demon: King Orcus! 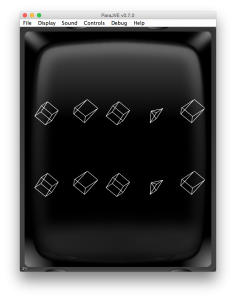 The “dream” of all vectrex players and programmers was allways to be able to do a vector game, where all objects are displayed with correct 3d vectors. Common believe is, that in realtime this is not possible for the pure old brute. And since as of now not one game actually exists it is probably true – or VERY difficult (demos do exist!). Some time ago I did a set of routines, that look like 3d and are reasonably fast in displaying I used some “tricks” to achieve the fast results. I never came around doing a full game with these routines, but I am fairly certain, that one could! 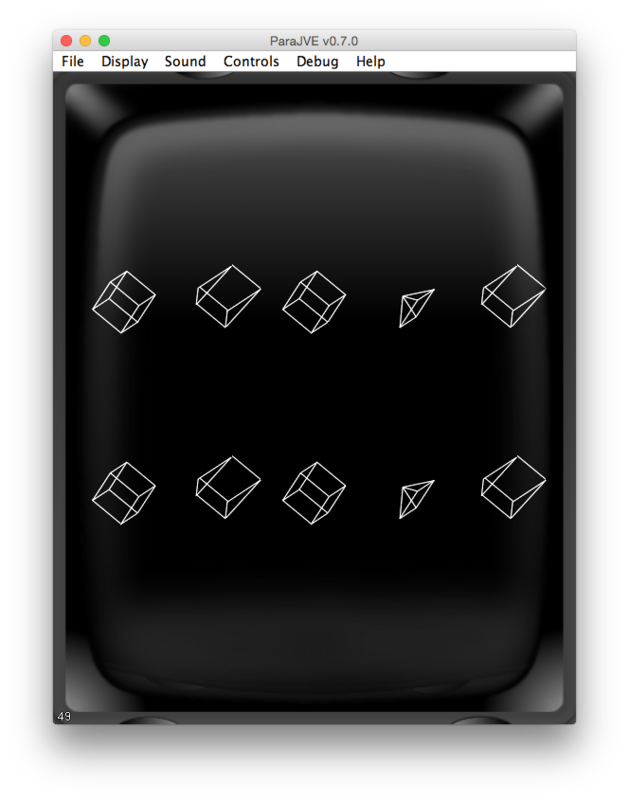 Here another image of “demo” I did for the Vectrex “C” package. AS09 Assembler for M6809/H6309 [1.19]. development anyway, since it IS good. This Assembler port was done in about 2h. I don't promise it will work allright. I only tested it with the CUBEM. to keep the cube in center than the C version. if it is in assembly or in C.
most probably be in the ###.i files. The macro definitions for the uniform vectors. probably discover it by a closer look. For comments on how to use it, read the "3ddemo.txt". There are 3 main files for the assembler version. go to the BSS section (including). stuff. Should be at the beginning of your code section. But may probably be placed anywhere it fits. 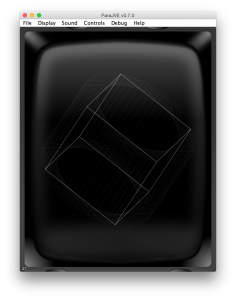 The file "3D_PRG.I" has the two custom vector drawing functions. Include it somewhere in your code section. It also holds the cosinus and sinus tables, needed for angle computations. fall back to one main problem. register A and B (apart from optimizing for 8bit values D -> B). compile OK, than we must take measures (like -O0). Well, the original 3d routines are pretty much (C) optimized now. If you use C to use the routines you don't have much to do. turn includes all the other *.h files. produced by gcc. Using sed it a quick-hack-bugfix. It turns lines like "sta #some_place" to "sta some_place". There are two things left for the programmer to do. Figure out what kind of vectors are used by the vector list. rest should work exactly like in 'C'. Here is the structure ('C') used for a 3D Vector list. I won't describe them here. for 3d drawing (13 different ones, sort of). Following is a list of available vectors (x,y,z). sufficient for the usual vector game. but as you will see they don't count). The initializing routine takes care of generating the rotated vectors. RAM location the 'moveTo' vectors point to. to calculate the 'moveTo' vectors only once per initialization. (provided they have the same rotation angles). Only three different once left! 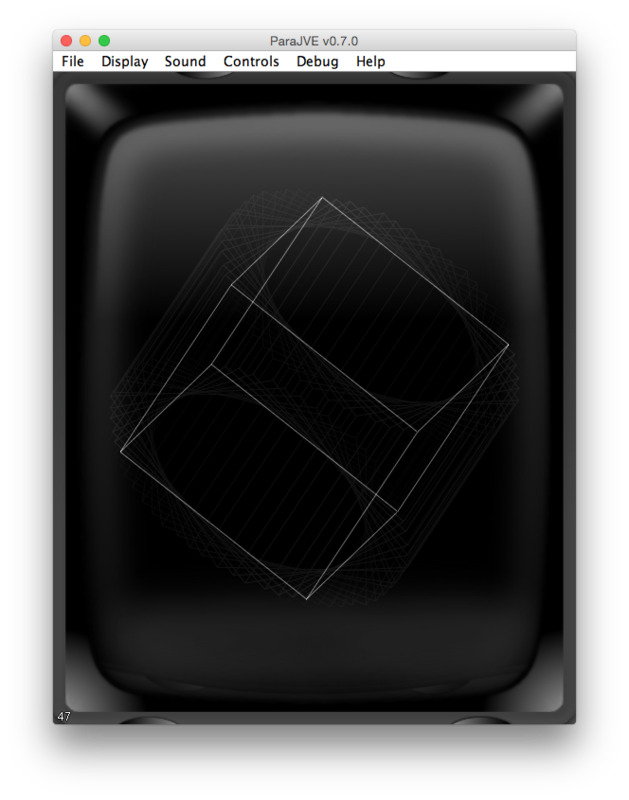 // set to init for cube! MUST be defined befor calling the init makros. initialization routine should be like above. There are two functions for that. After initialization you can call them. They will draw to where the 'cursor' currently is. WHAT IS POSSIBLE, WHAT ISN'T - I AM CHEATING! available, - uniform vectors with lengths of 1. That means only vectors with 45 degrees difference. Each direction increases in 4 degree steps! Well you will probably know by now. The generated vectors can be used and shared by vector lists. the invers direction is really the same vector (apart from the sign). That way I only generate at MOST 13 different vectors. Usually I only generate vectors that I'm told to generate. 'directions' to the ram location where the vectors are calculated to. about 4 - 8 different rotation vectors (13 at the very very most). Using uniform vectors and specialized makros for each of them helps a lot. Can (obviously) be used to do optimization. get rid of 'if' - clauses for examining the possible optimizations. I KNOW when one component is 1 or -1 or 0. The resulting vectors have a length of 0 to 64*sinx + 64*cosx. This is not optimal, since the sum NEVER reaches 128. Well apart from being C. I think the routines are pretty well optimized. But that doesn't mean one cannot draw more cycles out of them. The usual 'do something in between waiting loops' does certainly apply. Or some other clever stuff I didn't think of. In the demo each 'figure' is calculated 'all the time'. you don't have to recalculate everything again. rotate for all 3 directions.